In total the council received over 15,000 responses, which included 1,387 residents, the highest number ever for a Camden council consultation. 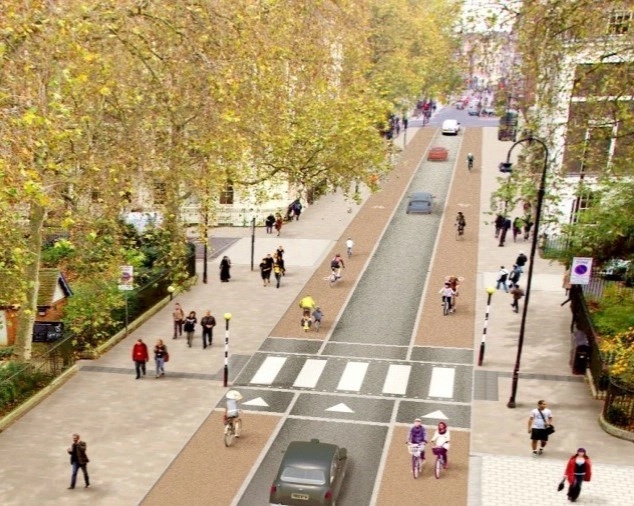 78% of the total were in favour of making the trial street layout permanent, 21% not in favour and 1% had no opinion. Of residents, 61% were in favour, 38% were not in favour and 1% had no opinion. Following a full analysis of the consultation results the scheme will be taken through the democratic decision making process. The consultation responses, consideration of alternative proposals for aspects of the schemes and other information including but not limited to air quality, traffic counts and road safety, will be used to inform the Council’s final decision on the scheme. It is anticipated that a decision will be made by the Council’s Cabinet in early 2017. Until a decision is made the current trial road layout will remain in place. the leaders of the local universities, charities and businesses who expressed their strong support during the trial through the SaferBloomsbury Campaign. the large gang of leafletters who were out in #TaviPlace mornings and evenings over a five week period. and to everyone who took the trouble to respond to the consultation.